That’s today, Dia de los Muertos. I’ve spent most of the day working on web stuff, mine and other people’s. My January 5th metal + glass course filled this afternoon. This Thursday the ‘After School Project‘ begins. Me, my studio and a group of nine year olds. They’re going to have a serious blast of fun, those kids. 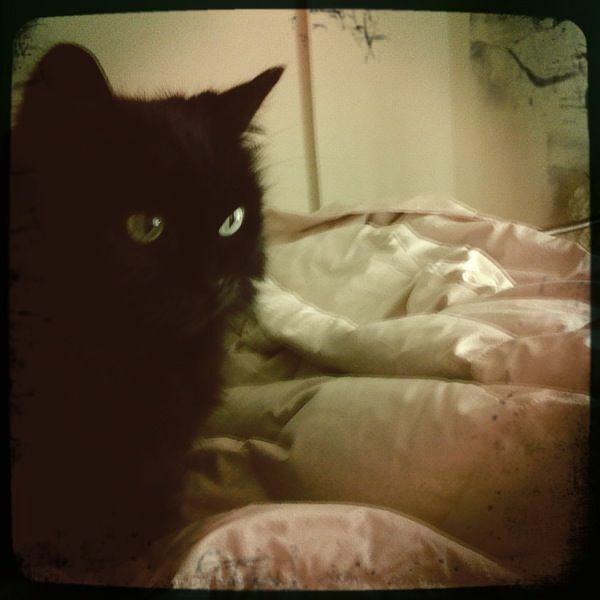 It’s been exactly 1 week since Pusscakes has been gone…. I miss her terrible. Two weeks ago I took on a repair job for a friend of a friend. Normally I steer clear of repair jobs as I’ve always found they lead to trouble. This one was interesting enough though. A Mexican silver bracelet dating from 1950. Made in Taxco Mexico with beautiful and unusual fused glass cabochons. The woman who owns it accidentally ran over it! A gift from her Mother with high sentimental value she wanted this baby fixed before mom started to ask questions. 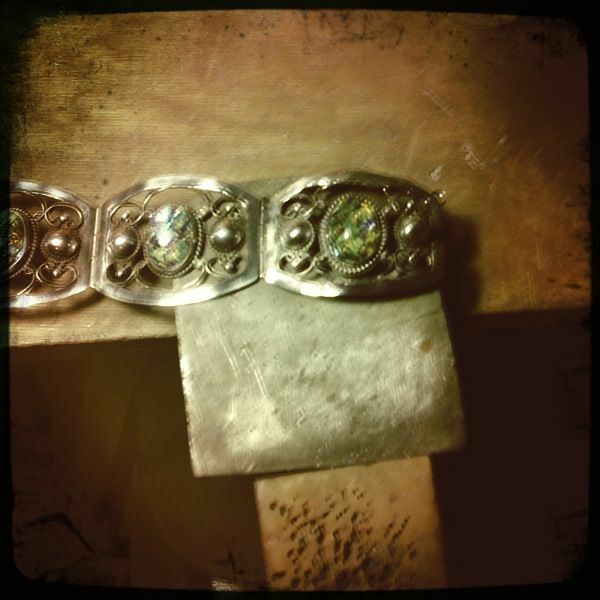 I had to pop some of the cabs in order to reshape and solder some of the bracelet’s sections. Plus one of the cabochons was completely destroyed broken to bits. So I salvaged what I could and pieced it back together using Hxtal. For those of you that don’t know, Hxtal is the bomb glass glue! This afternoon the bracelet was picked up and the woman was ecstatic to say the least. She complemented my handy work telling me that it didn’t look like it has ever been run over! Phew. Meanwhile, I’ve also launched a personal site. I suppose it was inevitable and necessary to have a website under my name. Nothing fancy for now just plain and simple. Check it out here, ToscaTeran.com This way I can keep my work and my workshops separate. Saturday I biked over to Type books to visit my friend Kalpna- who, by the way you should all check out. Kaplna is none other than ghost face knittah, she rocks the crafts yo. And is just awesome in general. Miss Kalpna presented me with a gift for my birthday! 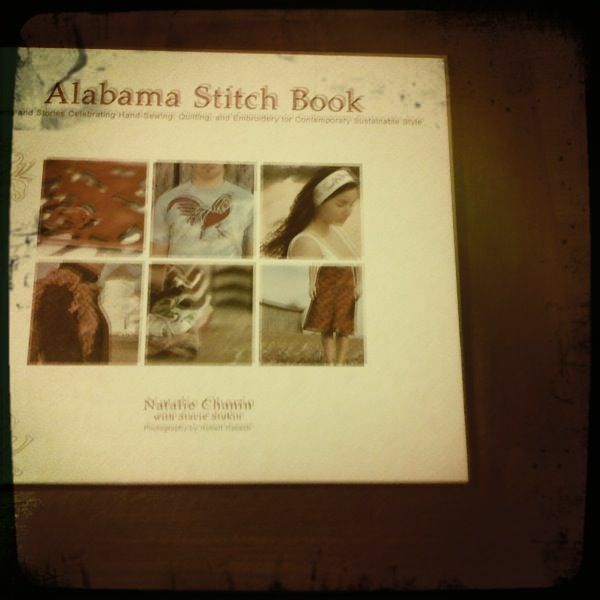 Well, OK I know my birthday was back in August but I was away and we never hooked up for Dim Sum soOooo she hooked me up with a book I’ve been wanting for awhile now, Alabama Stitch Book. Yes indeed, I’ve been wanting to get my hands on this one for a bit now. Reverse Applique here I come!